Indie and Artisan are very subjective. This week I would like us to concentrate on perfumers who do most of the blending work themselves. A hands on approach. Mostly they have simple, off the rack bottles and fairly rudimentary packaging. There are obvious exceptions like Fort & Manlé, whose packaging is stellar, but I know Rasei does all the blending. Interestingly, my two favourite rose fragrances were released in 2012, Mohur and Ballets Rouges. They are both opposing takes on rose. Ballets Rouges is a dark, swampy, shadow filled rose that whispers secrets and offers clandestine assignations. For the times I feel like letting the witch out to play. In stark contrast, Violetta di Murano offers a fragrance that gives the impression of Italian lilac glass being hit by sunlight on a winters day. Pretty and shimmering violet and mimosa given a sharp twist with blackcurrant and ivy. Dry down is a soft oakmoss and wood with smooth resins. Iris, rose and jasmine backed up by vanilla, leather and woods. So simple yet prettily effective. The roses are blood red and everything else plays chorus. Dry down stays interesting and I like the way it twists masculine. I particularly love that this is an Aussie outfit. If you haven’t tried Charlatan yet then do yourself a massive favour and get some on your skin. Woody/amber with ALL the bells and whistles. A sweet yet dry fragrance that uses chocolate, fruit and flowers to make the vanilla centric amber and woods sing. One of the best Indie offerings so far this century. Another rose from 2012 that gets a fair amount of wear around here. Roses and Tuberose over a mossy woods base and with a load of backing players to help the roses shine. So wearable and yet utterly stately in its opulence. Sadly I don’t see it on the SOiVOHLE site anymore. What Are Some Indie/Artisan Perfumes You Love? But for the commercial sale they were brewed and bottled in Italy. Me to Brigitte. Vero and Val are forever linked in my mind. You should see them together, it’s wonderful. This is going to be fun. I’ve only tried a couple of indies. I think we have a champion of the indies amongst our midst, so I’ll bide my time and wait till Brigitte (a.k.a. Mrs. Marzipan) has chimed in. LOL. Down below somewhere. I really had to think on this. Turns out I have/had more indies than I thought. So I get to play this time! ooo you reminded me that I really enjoyed Olympic Amber by OO…. I never heard of Mirus. What’s the skinny on them please? I am looking forward to hearing responses of which perfumers are in this category, to learn. As Portia mentioned, perfumers who do the blending themselves. Taking the cue from Portia, I adore DSH fragrances, and she lives nearby. I have visited her studio and attended a perfume blending session and introduction to her perfume creations. I have several of her fragrances and have sampled many. I love her animalics best. Some others I think qualify: Fort & Manle Amber Absolutely (I need to sample Charlatan! ); Auphorie (Au brothers) Binturong and Mayura; Blocki This Grand Affair by Kevin Verspoor; Hiram Green Shangri La; Zooloigist Civet by Shelley Waddington (also her En Voyage perfumes, especially Zelda); Liz Rose House of Gray with the Au brothers (Liz Rose also has a US based perfume shop called Ave Parfum that features and sells all indie/natural perfumers); Papillon Salome; Mirus December Kiss and Questionable Motives. Another vote for Mirus. I think I’m going to have to find this crew and sniff their stuff. Portia, Mirus Fine Fragrance is an artisan perfume house that focuses on small-batch parfum extraits made with high-quality ingredients. Each bottle is hand blended from ingredients personally selected by the perfumer, Neal Peters. Some of these precious featured ingredients include Thai oud oil, natural oakmoss and natural ambergris. Liz Rose at Ave Parfum sent me samples of December Kiss (ambered orange fragrance with a syrupy quality that slowly becomes creamier with precious sandalwood as the perfume dries down) and Questionable Motives (fragrance of contrasts that showcases both feminine and masculine qualities: sweet, dry, powdery woody. Seems straightforward at first with an addictively sweet, white powder. But then the woods, unburnt frankincense and dirty laundry join the party. Your own skin’s chemistry will determine where this story goes). I haven’t sampled Wicked Stepmother yet; however, it is a jasmine that sounds delicious. I’d never heard of Mirus until you mentioned them, Kathleen. A quick read left me very, very curious to try. And the names of his creations are just fantastic. I highly recommended sampling! His fragrances are diverse and of excellent quality. Right now my current obsession is St. Clair Scents- a one woman indie house!!! I like all of them but am currently obsessed with First Cut and Casablanca. One of the things that I love about this house is the slow release of new fragrances. Plus they are just drop dead gorgeous. And Diane really puts her heart and soul into every fragrance and it really shows. Mark my words, we will be seeing more of these beauties and folks will be talking about them. 1000 Flowers – another one woman show indie house. Jessica September Buchanan a Canadian who moved to France to pursue her dream of formalized study of perfumery. She now owns a brick and mortar shop in Grasse…bucket list to visit one day. I am obsessed with Reglisse Noire and just about drained that full bottle in three weeks from daily wearing and making a few decants because I wanted to share the love. But I will also add that Ode for Him is outstanding, the sadly discontinued Fleur no 1 was a beautiful, more updated and softer rendition of no 19 (Portia likes it too!!!) and I have also enjoyed Rose Cassis Paradis which is a luscious jammy rose that some say is better than Lush’s Rose Jam. Jessica does EVERYTHING herself and I applaud her for that. But beyond this, her fragrances are outstanding, IMHO. And she is one of the kindest and loveliest persons to communicate with and has a strong connection with her customers. 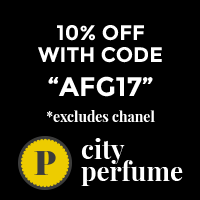 This is really an under the radar indie house and I wish more perfume peeps would try 1000 Flowers and get to know this brand. Dame Perfumery is well beloved in my house with the family (all three Marzipans, my parents and my childhood friend). Every member has/ had anywhere from 1-3 bottles of various fragrances including BFMV, Dark Horse, three from the soliflore line and at least 5 from the regular range. Right now Citrus Man, Peach Blossom, Violet & Vanilla and Bergamot, Jasmine & Labdanum are living in the youngest Marzipan’s room and he rocks them all…definitely unisex and smell great on him. Solstice Scents Estate Vetiver is another obsession of mine..a decant gifted to me by a very generous APJer as somehow she knew I would love it. My nose does not pick up on the vetiver,but rather what I get is a boozy, chocolatey , patchouli vanilla….in the cold weather it is to die for…and it LASTS on my scent devouring skin! Finally, RIP SSS…..I have been obsessed with Sonoma Scent Studio for many many years and was heartbroken when Laurie closed shop. I actually bought the very very last drops of her stock. I adore them all…every single scent she has made…… over the years I have drained Lieu de Reves, Jour Ensoleille, Sienna Musk, Winter Woods, Champagne de Bois, Egyptian Musk, Forest Walk, Incense Pure, Spiced Citrus Vetiver, Amber Incense, Incense Pure, Cocoa Sandalwood…OK I will just stop here…you get the picture! OMG!!! Portia is gonna kill me for that long response up above! But I forgot to say, do not enter me in this week’s draw! and who was last week’s winner? Haha, sometimes you just can’t help getting all carried away. But this happens all the time-LOL!!! Ha! and you know I forgot to say that both Jessica (1000 Flowers) and Jeffrey Dame are very generous with samples…they always throw in extras even when you don’t ask!!! This special touch is what makes me come back too. Brigitte, that’s such a great list! I must say, you’re doing a tremendous job as an unofficial ambassador of all these brands 🙂 I’ve tried none but I will as soon as I get the chance. Brigitte, I just ordered St. Clair Scents’ sample packet after reading your post, and reading your previous posts praises. Super excited to sniff these! I hope you like them!!! Portia just did a quick sniffs post on three of them two days ago. I finally sampled Fort and Manle Amber Absolutely, and it is an amazing amber. Highly recommend! And I just ordered Charlatan sample from Luckyscent per Portia’s recommendation. Can’t wait to sniff this one! I am so thankful for all of you perfumista’s sharing your passions and keeping me in the know! I am ashamed to admit that of the five makers you’ve mentioned: I’ve tried none. At the risk of sounding like a broken record, because these are among my most-favourite favourites anyway, regardless of their indie/artisan status, and they get worn a lot. None of them are afraid of complexity, or referencing classical perfumery and then breaking away from that to say something new. * Norne and Kiste by Josh Lobb (Slumberhouse). I don’t care if it’s hipster catnip. He’s another one of this group creating from some deep need and knowledge, a million miles from any focus group. * Rozy voile, Onda voile, Mito and Naja from vero kern. Aye. So much. Very likely to join this list soon–I just haven’t worn them enough yet: Club design/scent tattoo, and Everlasting from The Zoo. DSH Become the Shaman, a beautiful Palo Santo scent and Hiram Green Slowdive are two indie/artisan favourites right now. Of course I am also an unconditional fan girl of Andy Tauer, Vero Kern and Liz Moores, regardless of how their scents get bottled. They are artisans to me. Just as I associate Val with Vero I always associate you with Andy!! I don’t really know of many artisanal perfumes houses and I’m only familiar with the works of Russian indie perfumers so here’s my (very short) list: Anna Zworykina and Acidica Perfumes. Is Anna the one who makes Nureyev? Brigitte, I’ve just sent her a DM on Instagram, I’ll get back to you if she answers. oooo! Maybe she will send you some samples!! Report back if you try Nureyev! Brigitte, Anna replied!! She confirmed that she hadn’t made that perfume but since she was as intrigued as we are, she found out whose it is: Yanina Yakusheva! I love the Internet. Is Yanina a perfumer whom you’ve heard of? I think Nureyev is a brand new creation. I remembered that article after I’ve read Yanina’s biography on Fragrantica: she’s from my region (Krasnodar, the one where the Winter Olympics were held a few years ago). I also remembered why I was skeptical about her scents: in brief, I believe she’s in it for the money: she doesn’t seem to love perfumery, all she talked about in her interview was her idea of art perfumery which might be fine for someone but I’m old-fashioned: as Guy Robert put it, a perfume must smell good. Well that’s certainly two more Russian indies that I know of! What are they like? I’ve only tried a few, Marcella so I can’t be objective. Those I’ve tried have one thing in common: they’re not heavy on gourmand notes i.e. they’re not exactly crowd pleasers. Acidica has a beautiful thing called Ginger Tea, the name says it all, and Anna had a limited edition of another tea fragrance named Shambala. It was a gorgeous blend of spice, ginger and tea notes. Anna calls her creations “non-perfumes” since they’re more like painted studies, a way to capture memories and impressions. Shambala…. I want to try it for the name alone…does anyone remember the song?…..on the road to Shambala…… and then when I think of the song I think of my number one show ever… LOST. Shambala was mighty good: rose and sandalwood with smoky undertones. Sorry, I got confused: it was made by another Russian perfumer Galina Anni for the Mad Tea Party indie perfumery festival in 2016. That sounds gorgeous….rose and sandalwood. Now I can only sniff the empty decant (where’s that crying emoji when you need it?!). That sounds darned interesting! I never thought I was a ‘tea scent person’. Until I tried, coincidentally, Russian Tea. Masque Milano make this, so not Russian obviously. But, it describes a ‘scene’ where tea is being poured out of a Russian samovar, I think? Or maybe I’ve imagined I’ve read this last bit. Anyhow, this leads me into wondering if tea drinking is a big part of Russian culture? Oddly enough, I don’t immediately think of Russians when it comes to tea drinking. But then again, why not? Oh yes, we drink tea a lot. No samovars, of course, tea must be freshly brewed. In general, I prefer machine-manufactured perfumes. It’s hard to define, but there’s something in handmade perfumes that sets them apart from industrially produces, and that doesn’t play to their benefit (subjectively to my nose, I know that others don’t mind or even like that aspect). Nevertheless, there are several perfumes for which I decided to overlook that my prejudice since I liked them and wanted to add to my collection and wear. My list includes only those perfumes that I actually bought and not just tested. DSH Vert pour Madame – a must try for green perfume lovers. En Voyage Captured in Amber – beautifully warm honeyed amber. SSS: … many scents from this line but since they aren’t available any more, I won’t list them. That’s it. I tested many other indie brands but until I vote for them with my wallet, I don’t think I should claim them as favorites. Though I want to mention one more perfumer – Mandy Aftel – since I’m contemplating purchasing Smoke Vanilla. I think, it’s gorgeous, I’m just getting used to the idea of paying that price (not that I think that this particular one doesn’t deserve it!). En Voyage Captured in Amber? I’ve been obsessed with ambers this fall. Need to discover this one! I love several En Voyage fragrances and this one is new to me. I have a tiny parfum bottle so I cannot offer to share but if honey more often works for you than don’t, I recommend trying it (the other 2 scents from the trip it came a part of we’re also quite interesting). I’m going to order a sample of Captured in Amber from Shelley’s En Voyage site, as well as a sample of Indigo Vanilla and Tagetes Femme. I’ve sampled many of her creations, and have Zoologist, Zelda and Figa. Thank you for mentioning Captured in Amber, I feel that I’m going to love it! Undina just did a great post on all the Ambers that she recently wore. Oh yes to LDDM!!!! That one is gorgeous!!! Yup! I was going to mention Aftelier Perfumes. I only have a sample of Antique Ambergris but, I’d have the full size of it were in my budget. Such a warm, human smell. Absolutley gorgeous. Ohhh my, i want so so bad to sniff Charlatan from Fort and Manle….i’ve heard only amazing things about this juice and especially about the entire house, but i didn’t have the chance to test any of them yet. Congratulations on your win Alen! Winner winner chicken dinner.😉 Enjoy your Portia’s Perfume Pressie. Have just tried Camel and I’m highly impressed. I’m grouping artisanal/indie together. I’ve have Providence Perfume Company Sedona Sweet Grass. Irresistible if you’re craving a natural, uplifting sweet pine/grass scent. Smells like hiking in a Laurentian forest. I’ve had both BFMV and Dark Horse. I’ve tried all the St. Clair Scents and will most certainly be buying First Cut, but await my sample of the new release Casablanca. Memo Perfumes is a family owned luxury goods company based in Switzerland. And so, Tiger’s Nest is also on the full bottle list. Completely enamoured with this fizzy incense. I’ve just been ploughing through a sampler kit from January Scent Project. Tough slogging. Well done, but a bit too outré for my tastes. I’ve tried the 1000 Flowers as well. I appreciate them for their beautiful execution, but they don’t jive with me personally. Russian Tea from Masque Milano I think qualifies as either artisanal/indie and I’d spring for a full bottle without doubt. Finally Antique Ambergris from Mandy Aftel. Just can’t wrap my head around those prices. Wow! Great list and I see we have some crossover!!! Lucky for me I don’t get on with any of the Afteliers so I don’t need to wrap my head around the prices-LOL! You’ll hear it your honour. The truth, the whole truth and nothing but the truth. Aha! You got the January Scent pack! So glad you gave them a crack. I did! I’m enjoying trying them. Thus far I’ve tested Burvuvu and Eiderantler. I found them both a bit of a challenge first time out. Perhaps a little too different? Not sure. Sometimes my nose needs to adapt to surprising scents and requires several trials. I did have a quick sniff of Smolderose as well and found that one more accessible. If Andy Tauer still qualifies, I own one full bottle:Une rose chyprée. Of the perfume oil samples I had from Evocative perfumes, Imogen was one I kept, wish I could try the alcohol based creations! I wish the British and American indie perfumes were a bit easier to sample! Now I read about them, but have trouble getting samples and decants. I guess limited distribution is part of the definition of indie perfumes. LADDM is sublime. I forgot about the Sylvaine Delacourte…I enjoyed Florienta and Helicryss. WOW! Super cool list Tena. Slumberhouse Pear and Olive and Zahd. Both unique and very beautiful. I am still happily wearing Saffron Veil from Phoenix Botanicals (which I found out about from this site!). Excellent choices, isn’t Pear & Olive amazing? Woo Hoo! That you found a true love here. That makes me so happy. I think most of my favorites have been named and I’m not always sure how things are produced, but here it goes . . . Some of these I do think of as their own slightly hippyish kind of thing and others are ‘proper perfumes’ that I don’t experience as different from a Chanel or a Neela Vermiere, those somewhat random examples quite different also of course. Glad to see someone mention Hendley…I need to explore this brand one of these days. Tauer LADDM. Popular but it is still one of the best from an Indie house. I wore Daesin Winter to bed last night. Lovely scent. I only have a sample of it, but it’s really good! Have you tried Winter Nights? I love pine note – I should probably seek out that sample. Wow, your dad must be pretty advanced if he used up your Attar de Roses! What else has he liked? He wears and likes just about anything…and the lines are pretty blurred with regard to masculine versus feminine fragrances. He has worn many Dames that might be deemed as feminine. Right! We forgot Antonia’s Flowers. I think we’ve both worn that in the past. Tauer springs to mind immediately, but not the one everybody loves. I prefer the rip-roaring gasoline blast of Lonestar Memories to LdDM. I’m also a fan of Evocative Perfumes; Cologne for Alice and Olibanum. I like Linestar Memories as well (and have a 15 ml bottle to show for it 🙂 ). I’m just learning how to find these gems! For me my new loves are 4160 Tuesdays Inevitable Crimes of Passion and Zoologist dragonfly. Here I go again, if I haven’t bored everyone to tears already – Sonoma Scent Studio. Too many fantastic scents to mention so I will go with my top two, Yin & Ylang and Jour Ensoleille. Ok three😉 Champagne de Bois. Andy Tauer- also way too many to mention and I’ve tried so many of them and they all work for me. Orange Star, Une Rose Chyprée, Phi Une Rose de Kandahar are the standouts for me. Papillon Perfumery, really old school scents. Tobacco Rose is my favourite here. I would love Liz to develop a BWF. Think she would do a stellar job on it. And I would be very remiss not to mention an Irish perfume. Frond is made by The Burren Perfumery and is a rosy floral. My daughter loves this, she says it reminds her of my mother and she always gets compliments on it. When she lived in Madrid a man on the bus tapped her on the shoulder and asked what it was and where could he buy it. You and me on the SSS!!!! I enjoy Phi too…so much so I thunked a decant last winter. The Burren Perfumery intrigues me…off to research…. ha! you must have mentioned this line before because as soon as I got to the website I recognized those beautiful bottles..they also have a Winter Woods…. If you ever visit Ireland it will be a must visit. Tiny little place in the middle of nowhere but it’s very popular. I would love that. Years ago I was planning on an Ireland and Scotland vacation. But then I met Mr. Marzipan and we had kids and then there were no more extravagant vacations. Pre marriage I traveled a lot, even throughout my childhood so I don’t feel like I missed out. But I am sure Ireland is spectacular and I would love to visit that Perfumery.